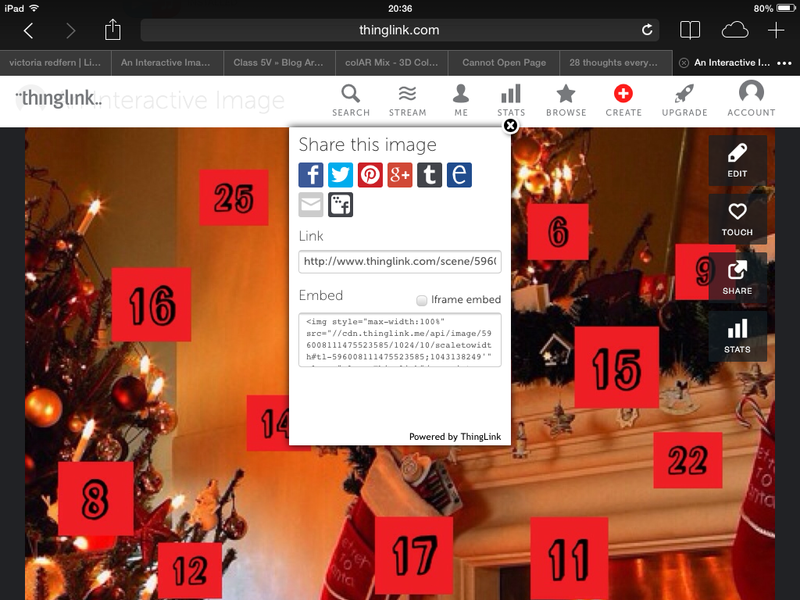 An idea from Mr Parkinson (if you haven’t checked his blog, you should), on ways to use the iPads around Christmas. 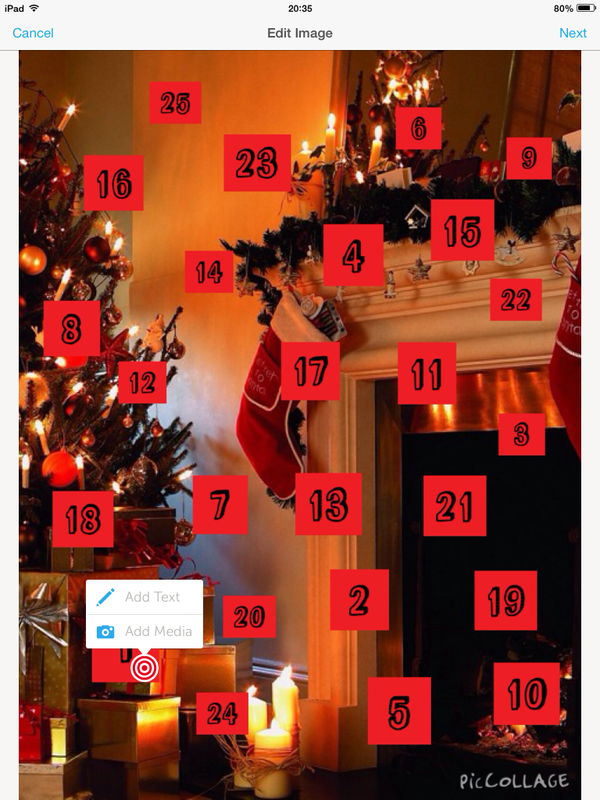 Using the piccollage app and thing link, you can make an interactive advent calendar to share with your pupils. Extremely easy and quick to create! 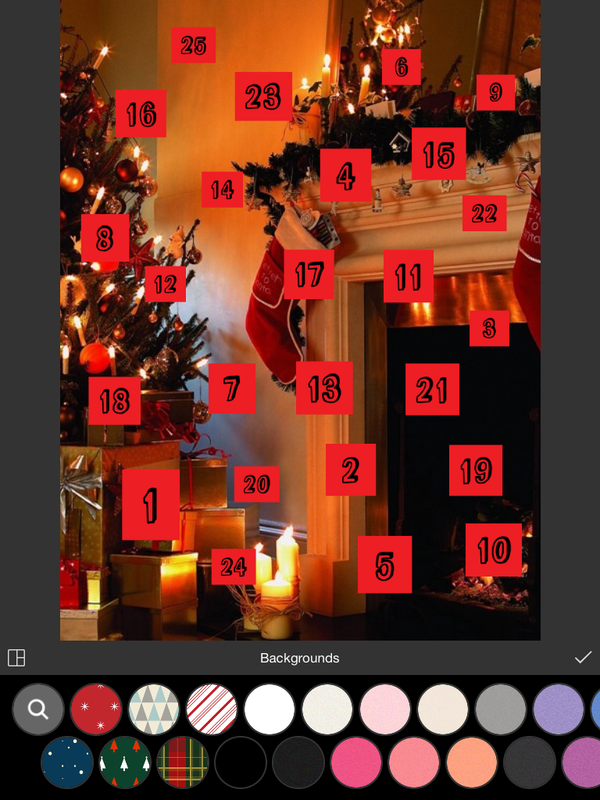 Firstly, on piccollage, create your advent calendar format. Simply choose your Christmas image and set as your background. 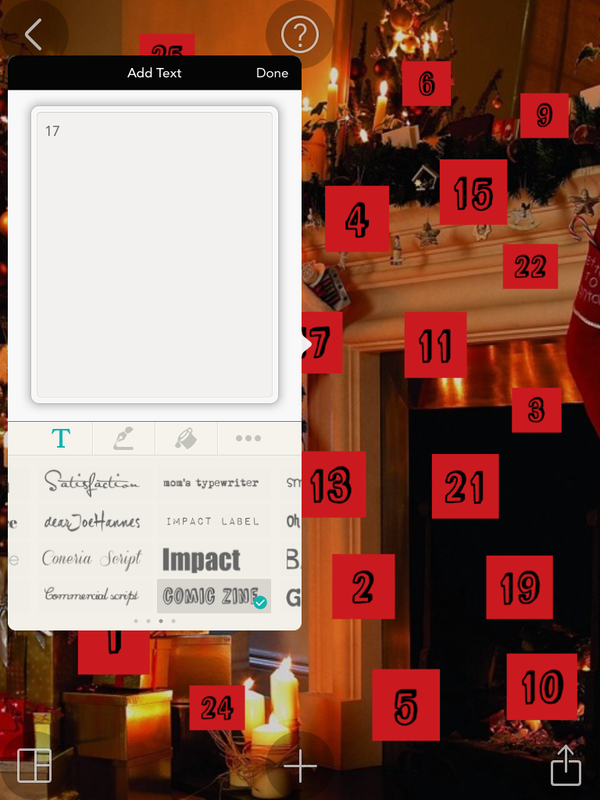 Then add text on top to make your windows for each date. Once you’ve made your calendar you can export it by saving to camera roll. Then open up the thing link app (you will need to set yourself up with an account, which is free). Insert in the photo from your camera roll. 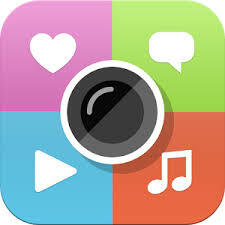 Once inserted, you simply tap where you would like to place your media and then you will have the option of filming a video, inserting a file from your gallery or inserting a video from YouTube. Lastly, when you’ve finished your calendar, you will need to log into your thing link account through safari or the internet. If you click on your image, it will give you the option to share. From there you need to highlight the embed code to place it into your blog. A working model can be seen on our class blog here. This idea could be used for numerous other projects, not just Christmas. 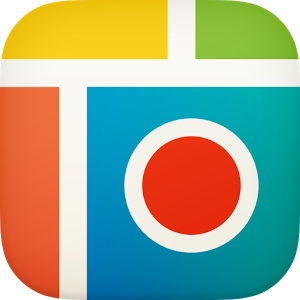 For example, to record orally descriptive sentences for different elements of a photo, or highlighting parts of a map, etc.